The process of determining retirement income goals, and the proposed actions and decisions necessary to achieve these goals. Retirement planning includes identifying sources of income, estimating expenses, implementing a savings strategy and managing assets. Projected cash flows are estimated to determine if the retirement income goal will be achieved, to provide the investor with the funds required to having put aside enough money to be able to enjoy the lifestyle they require during their anticipated retirement. Maintaining a disciplined approach to saving can be a challenge. Your disposable income and personal situation will affect what options are available to you and whether you are able to save at all. Are you aware of the savings and investment options available to you? Are you sure you are utilising the most tax efficient options available? With the constant changes in government legislation it is vital to work with an advisor who can guide you along the way and help to ensure you stay on track with your savings as well as being flexible enough to restructure as your needs change. We have teamed up with Seamus Arkinson of Arkinson Mortgage & Investment Solutions to provide our clients access to the pensions and investment markets. It is the process of placing disposable funds into a proper investment vehicle based on the investor's future goals, time scales, priorities and risk profile. This process also takes into account the safety of the investments as well as liquidity and level of returns. Ideally, proper investment planning will allow the investor's funds to produce financial rewards over time. For those people that are still in their working life or just starting out, we can organise advice on a range of solutions to cater for all requirements. 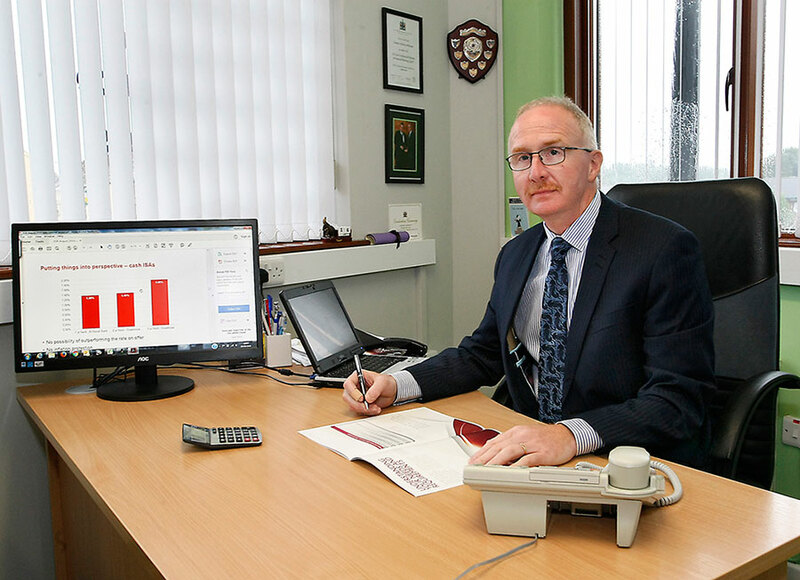 We have teamed up with Seamus Arkinson of Seamus Arkinson of Arkinson Mortgage & Investment Solutions to provide our clients access to the pensions and investments markets. Seamus has 20 years of industry experience and has a wealth of knowledge and expertise available to you, and can help you to make the most of your plans for your future.